Our family is committed to giving back to our community. When we learned that 17% of Yolo County was food insecure, we decided that working to solve this problem was the perfect way to "give back." After starting Food Bank Farmers in 2013, our family, along with hundreds of volunteers, has dedicated thousands of hours to growing fresh fruits and vegetables for those in need. Since 2013, we have donated 50,016 pounds of produce including beets, butternut squash, cantaloupe, carrots, corn, delicata squash, honeydew melons, peaches, potatoes, pumpkins and tomatillos. How Does Food Bank Farmers Work? We work with the Yolo Food Bank to determine which fruits and vegetables are most needed. Most of the seed and other planting materials are donated by local seed companies, such as HM Clause and Sierra Gold Nurseries. We coordinate with volunteers in the community to plant and harvest our crops. Many of our volunteers are from local organizations such as Bet Haverim, the Church of the Latter-day Saints and the Yolo Land Trust. 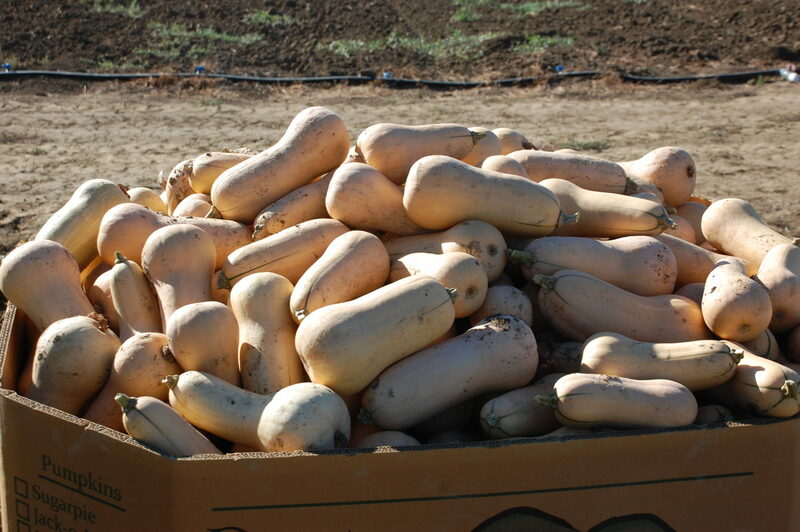 The Yolo Food Bank picks up the harvested produce and distributes it immediately. Volunteers are an integral part of Food Bank Farmers. 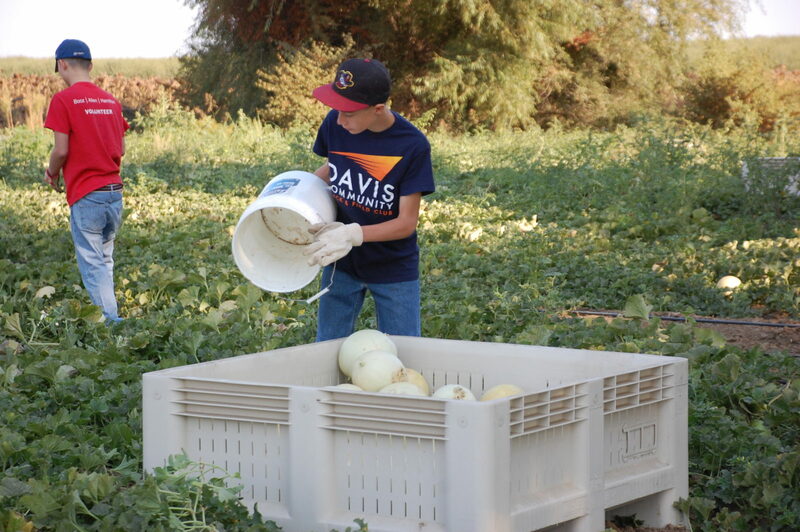 In order to provide fresh produce at no cost to the Yolo Food Bank, we rely on volunteers to help with many farming tasks: planting, setting up irrigation, weeding, and harvesting.